OSR Vacation Pvt. Ltd. is ranked among responsive and responsible Tour and Travel Organizations engaged in offering excellent Passport & Visa Services in New Delhi, India. We can be contacted any time of the year for our services. 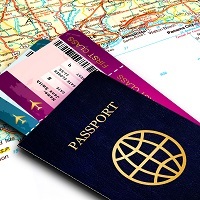 We are well versed with the varied visa eligibility criteria of varied countries and familiar with our companyâ��s passport procurement procedures. We will help you with form filling, the verification process and the follow ups. You can trust us to be there through every step.